A second car for sun-loving Greenpeacers...who don't have too far to go. 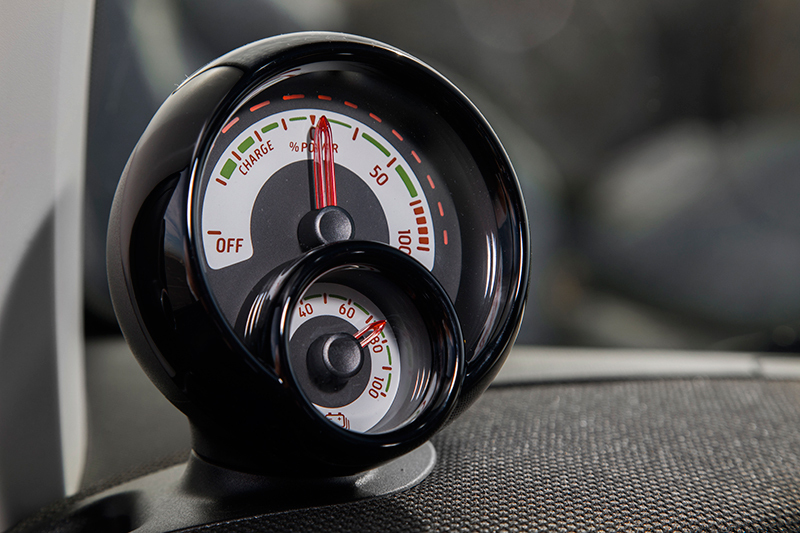 As a New Yorker, it's easy to see the appeal of the Smart ForTwo. Finding a parking spot is the bane of a Big Apple existence, after all, and the lack of paint-designated parking spots in most parts of the city makes ditching the car a free-for-all that favors the smallest vehicles. Smarts have always fared well here as a result; while the perpendicular-parking-in-a-parallel-slot move the ForTwo is often seen performing in Europe is verboten, here, at less than nine feet long, these runabouts can slot into curbside gaps no other four-door of recent vintage could occupy. Pretty much sums up the appeal of the Smart for New Yorkers. But all those NYC advantages have become moot as of 2018. Not because the new Smart city cars rolling into showrooms across America have suddenly grown to Suburban proportions. But because, starting pretty much any day now, every new Smart sold in the U.S. and Canada will be powered solely by electric motors. And while NYC's curbs are littered with gaps big enough to to slot a Smart car into, exactly none of them have a convenient place to recharge their batteries. Short of jacking into a lamppost to steal 120-volt current the way some folks do for their cell phones, street-parked electric Smarts won't be powering up any more than the parked internal-combustion vehicles they're sandwiched between. That might be fine, perhaps, for for someone who has a garage at home or work where they can recharge. But that's a small group in densely-packed cities—and besides, if you have a dedicated, full-sized spot in a garage, the Smart's size advantage becomes far less important. Further negating the advantages of Smart ownership: EV range. For urban dwellers, a car is often used as much to escape the hustle and bustle of the city as it is to zip to work or run to dinner. The Smart ForTwo Electric, though, offers a mere 58 miles of range before a topped-off battery is exhausted. That's almost enough for two laps around Manhattan (or, for Mike Spinelli's daily commute to and from The Drive's Brooklyn office). More to the point, it's not enough to get clear of, well, pretty much any of America's greater metropolitan areas with enough power in the pack to return home. It'd be less of a problem if the electric Smart could vacuum up electrons with Tesla Supercharger-like speed once the battery runs low, and tack on 60 miles of range in 15 minutes. But the Smart Electric takes three hours to fully power up from zero battery, and that’s using the thickest cable the car accommodates—a 240-volt/32-amp connection. Plug it into a three-prong household outlet like the kid's toy it resembles, and it'll take more than 16 hours to recharge to 100 percent. So with the ForTwo's move to pure electric power, it now begs the question: Who’s this car for? Still, the driving experience itself is greatly improved by switching over to electric power. In fact, the electric Smart is kind of a hoot. 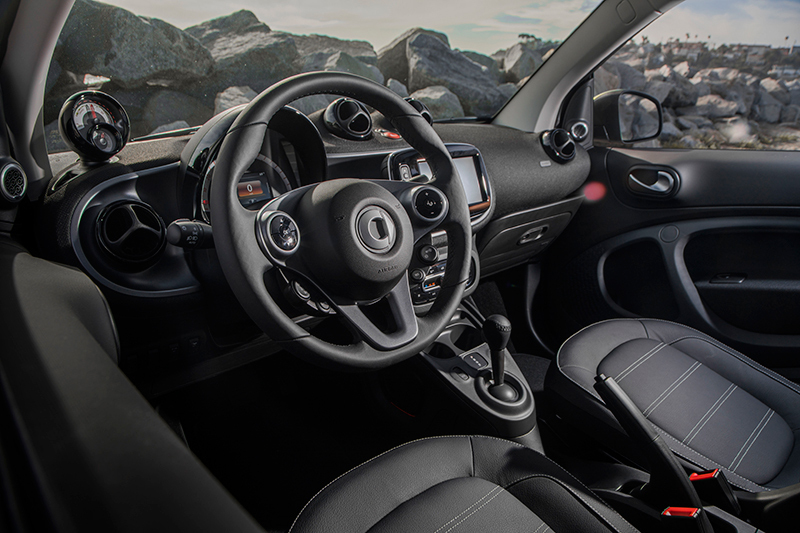 With all 118 pound-feet of torque available right off the line, it zips off when you jam the accelerator down even halfway. And it’ll keep on picking up speed all the way to expressway speed, where it tops out at 81 miles per hour. And while the third-generation gas-powered Smart's dual-clutch is miles better than the old automated sequential manual from the previous one, where the shift times could be measured in eons, ditching the transmission altogether the way the EV does makes the ride even smoother, letting the driver ride one seamless wave all the way to highway velocity. Much like a supercar, you have to break the law to really appreciate the Smart Electric’s capabilities. But in a very different way. While speed limits are the bane of Ferraris and Lamborghinis, the Smart is hamstrung by lanes. With a 22-foot turning radius, illegal U-turns seem logical to the point that you can’t understand why that officer driving towards you with his lights and siren on seems so angry. At just 65.5 inches wide, you can practically squeeze past a family sedan without dipping a tire outside the solid lines. It’s also shockingly quiet. I wanted to try following people into a mall with it, just to see how long it took anyone to notice. Every third-gen Smart comes with solid sight lines—at least, if you're looking forward or to the sides—which is great for parking, or for those impromptu U-turns. It's also handy, because it keeps you from looking around the interior too. Space, not surprisingly, isn't exactly forthcoming, but neither are the nice materials you might expect from a car bought at a dealership with the three-pointed star out front. (Then again, that star isn't on the hood of this car, so you can't say Daimler set you up to expect a Mercedes.) The plastics are largely hard and feel on the cheap side, and while my test car came with leather seats, you're not likely to confuse them with the ones in an S-Class. The navigation and infotainment system—a TomTom job—is, well, mediocre, with a cartoonish interface and rather laggy controls. Android users can use Android Auto instead; iPhone owners, though, are stuck with the OEM setup. (Here's hoping Daimler can find a way to integrate the next-gen Mercedes MBUX system that debuted at CES this year into the Smart before too long.) 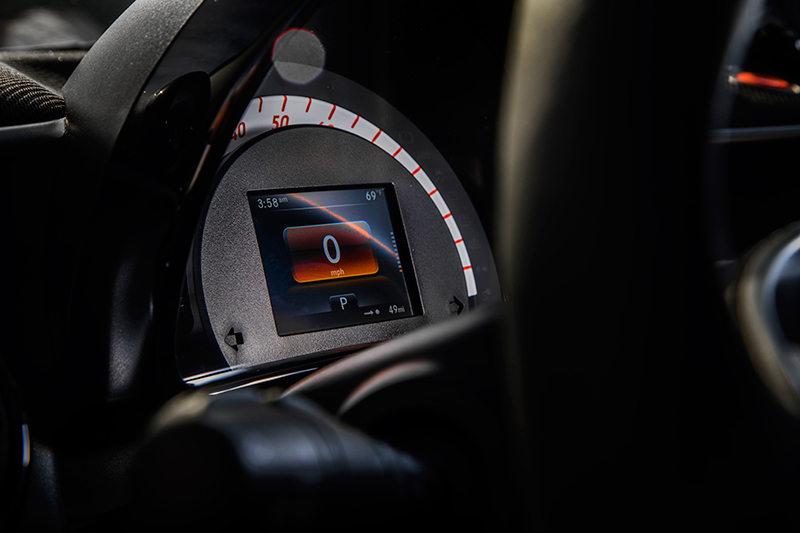 Likewise, the minimalist instrument panel seem something of a waste of space; while the gauge cluster is large enough to accommodate a full suite of gauges, the battery's charge and the real-time power usage needles (analogous to the fuel display and tachometer, effectively) are relegated to a wart-like growth that protrude from the top left of the dash. While you’ll pay for the privilege, the cabrio is the way to go, especially if you live somewhere where the weather is nice enough to make the most of it. (Not that anyone who lives in places where blizzards are expected ought to consider an electric smart, anyway, considering the range-killing effects cold temperatures have on EV batteries.) Not only does the canvas roof slide—you can slide it back halfway through its travel to turn it into a proportionally-giant sunroof, or push it back all the way for full cabrio action—but the twin roof beams connecting the A- and B- pillars can be removed with ease. There's even a special holster for said beams in the trunk...though locking them in there reduces the trunk space even further, leaving barely enough room for a large fanny pack. Ah, yes—the price. 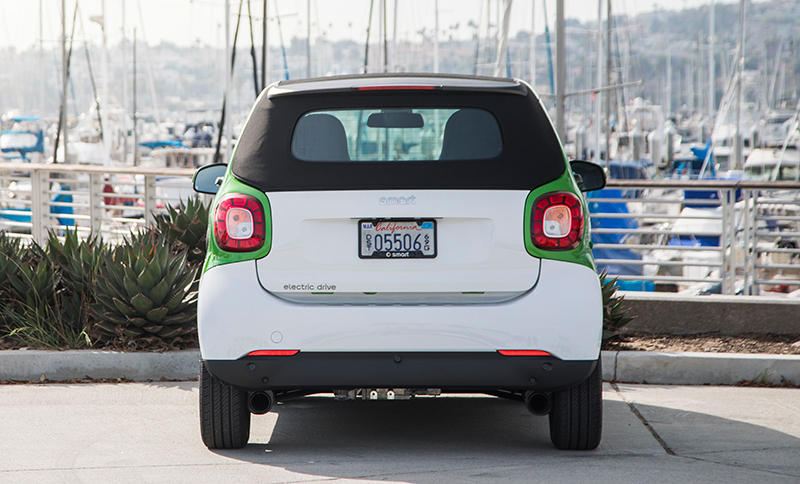 Here's the thing: The electric Smart can be a steal, if you're willing to sacrifice. 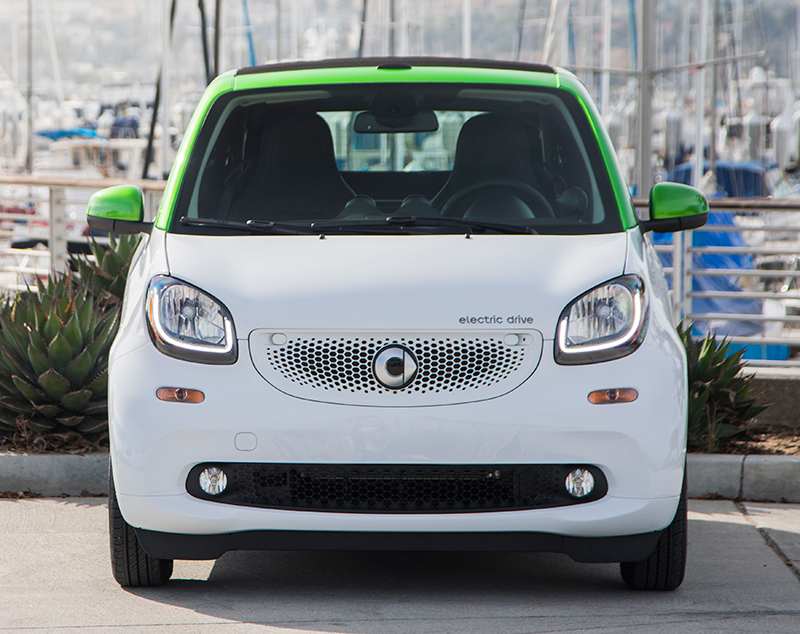 The base model—the ForTwo Electric Coupe in "Pure" trim—starts at $23,900. The federal tax credit knocks $7,500 off that, and state breaks can save even more. Live in Colorado, and that base price drops to $11,400; in California, America's largest electric car market and the place where Mercedes held the test drive, it'll ring up at $23,900. But again, that's for the base model...and it's very, very basic. That gets you steel wheels, manual mirrors, and a rather cheapo interior. (Synthetic leatherette is an option, as is an armrest.) Better-equipped trims, which add things like more colorful interior options and extra cupholders, start at $25,390 and $26,740. Opt for the cabrio (which only starts at mid-level "Passion" trim), and you're staring down the barrel of a $28,100 starting price, while the top "Prime" trim begins at $29,100. Add in destination and any options, and boom, you've got yourself a $30,000 Smart car. At that price, the electric Smart is priced neck and neck with the Nissan Leaf—which, while hardly the state-of-the-art in EVs, does go nearly twice as far on a charge, packs standard niceties like heated seats, and, y'know, room for more than two people and a small backpack. And since that model is about to be replaced with a more powerful version packing far more range, you can probably find a Nissan dealer offering a sweet deal on the outgoing Leaf. That said, the Leaf doesn't pack nearly the charm of this rolling ladybug. It's not just the wide-eyed face or the oddly endearing top-heavy proportions; it's the satisfaction of sliding into a spot too tight for any other car on the road, the puckish glee of making a U-turn in the middle of a city street, or the unexpected thrill of flooring the accelerator and both feeling and hearing the wind blast past your face. Spend a few hours fiddling around with this little car, and it's hard not to be won over at least a little...even for cynical automotive journalists who spend their lives trying to discern the purpose of and value in every vehicle on sale. So maybe that's who the Smart ForTwo Electric cabrio is for. Not people who buy cars with their heads, necessarily...but folks who buy them with their hearts. Notable-but-missable interior feature: The climate control—an old-school slider, but with a magnifying lens to make the numbers of the temperature you've chosen look larger. Only 27 dealers will be left selling the cars in America. Can Mercedes dethrone Uber and Lyft with its Smart Car? A fun little car that just wants to enjoy the U.S. amusement park.